Part of spiritual maturity is the development of strong character and right convictions. Character and convictions give you guidance for decisions, confidence in challenges, and persistence through delays and adversities. Maturity is more than an age, it’s the way you choose to think and live! 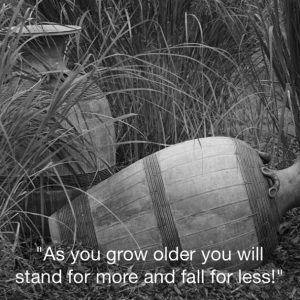 Decide to grow up! Come worship with us this weekend as we learn more about prayer in our series Talk To Me. For complete information, campus location and service times visit our website church-redeemer.org. Don’t miss the opportunity to send an Evite to friends.